The BAFTAs have always been the pride of Britain. A glamorous occasion, recognizing the best in the arts and entertainment industry. Many see them as the guide as to what direction the Oscar's will take. 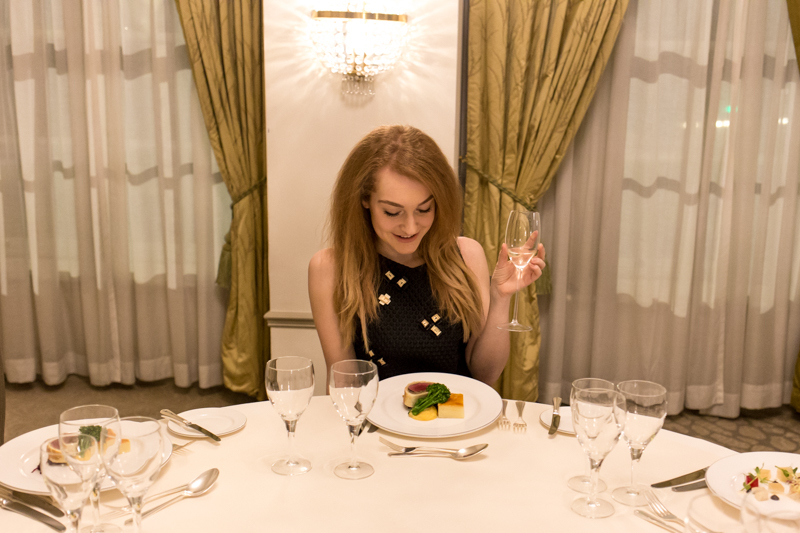 You might watch it on TV, you might even brave the cold and stand at the barriers to the red carpet, but something that a foodie like me has always wondered, is what do they eat at the dinner? With all those Hollywood darlings present, do they eat normal food? Do they have to make some vegan, gluten free, sugar free cuisine? 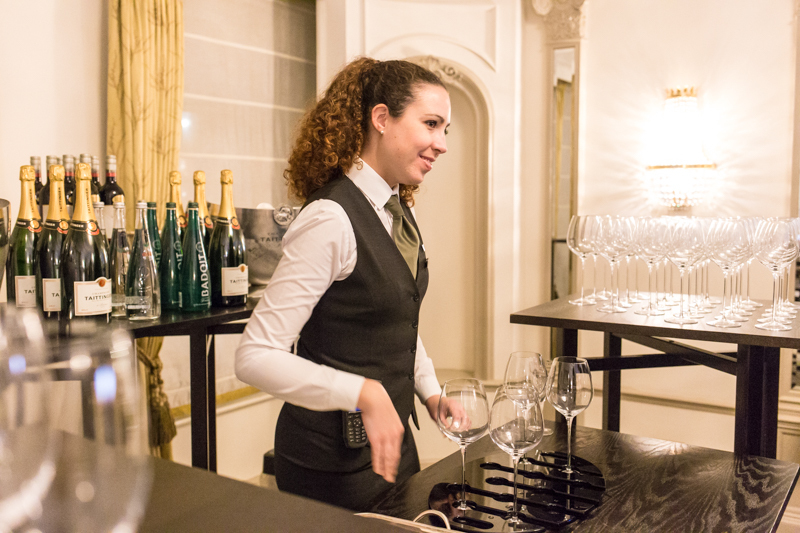 Well last week I was invited to the pre-BAFTAs dinner tasting at the Grosvenor House hotel on Park Lane to see what would be served this year. 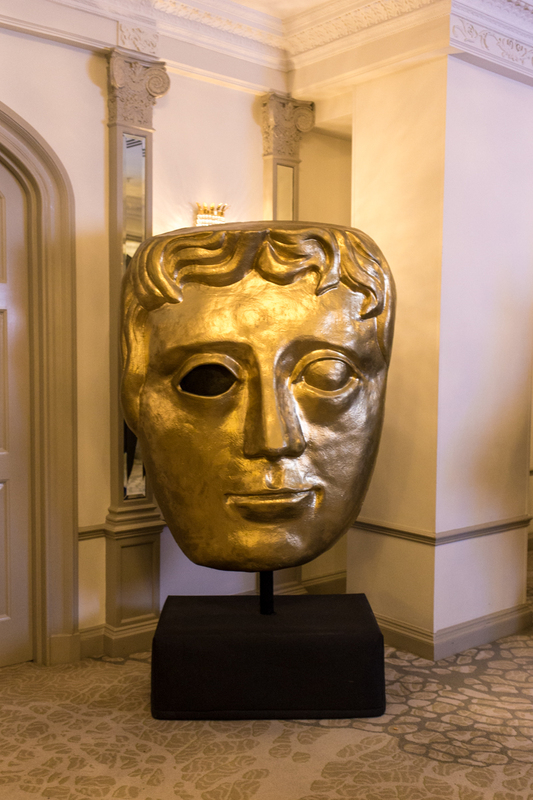 One thing I never actually knew is that BAFTA is a charity. 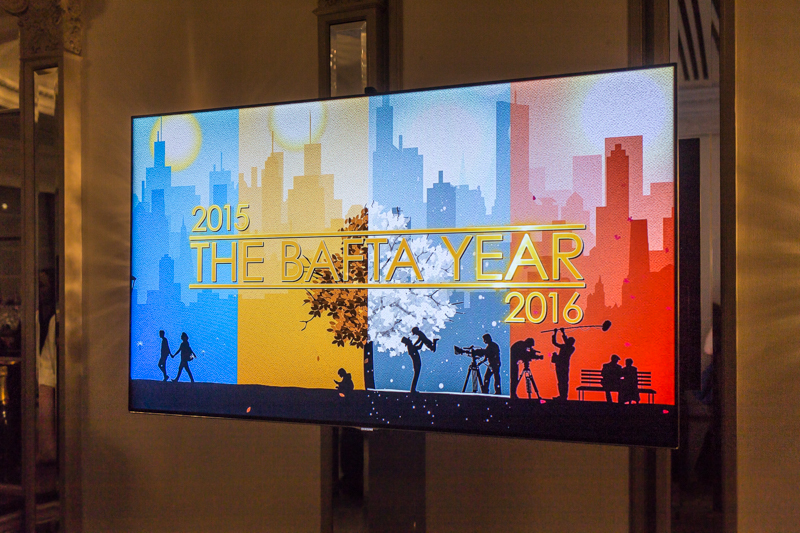 The British Academy of Film and Television Arts supports, develops and promotes the art forms of television and film, not only with the Awards ceremonies, but also with a year-round, international programme of learning events which helps to mentor talent through workshops, masterclasses and scholarships. It was actually lovely to hear all about the work they do, especially now in the game industry too, with programmes to help kids from state schools. Sometimes I think of the arts as a more middle to upper class hobby; it wasn't really pushed at my school and if you wanted to go to drama school it would cost a fortune, something I know my parents couldn't afford. 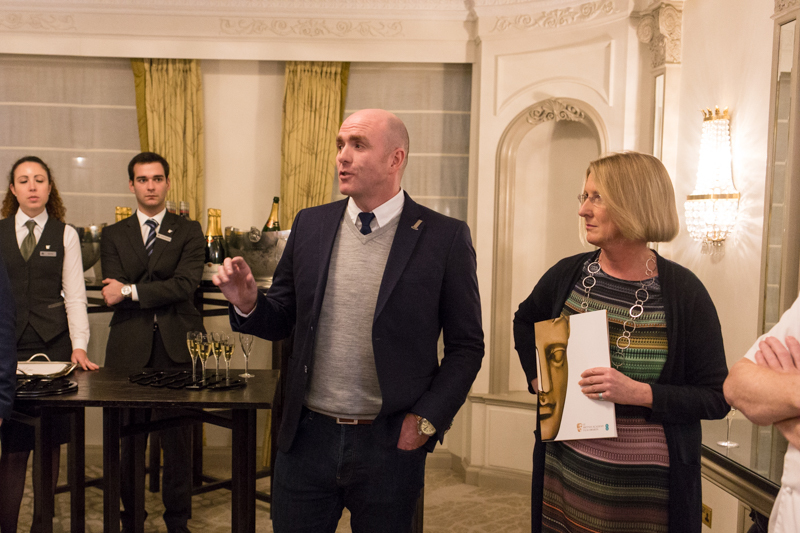 So it was great to hear of these programmes to give scholarship, and a but if a leg up into that world. 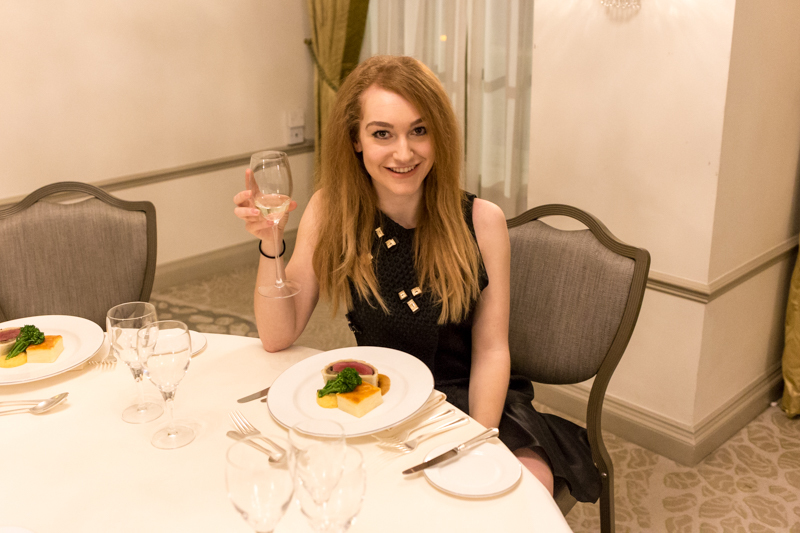 After the awards, guests and VIPs head to the Grosvenor House hotel for the dinner, and will eat in a room not too disimilar to this one which was upstairs. 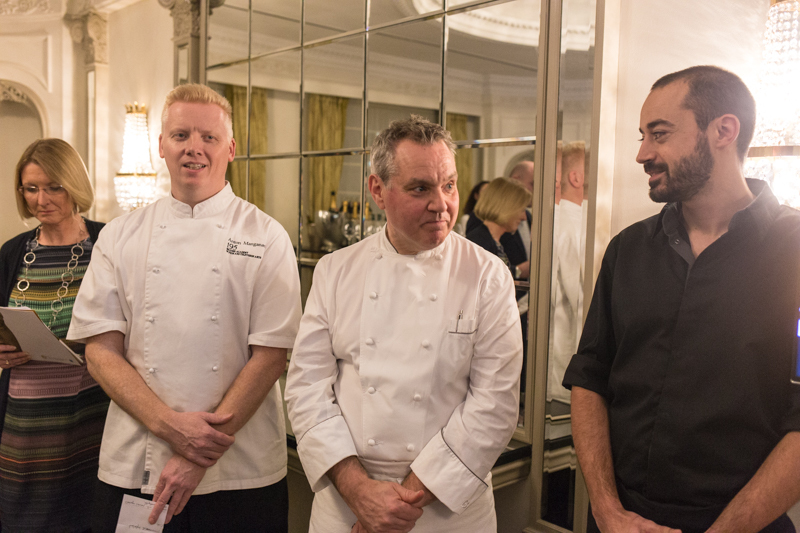 BAFTA Head Chef, Anton Manganaro, has once again teamed up with Grosvenor House's Executive Chef, Nigel Boschetti to create a three course meal fit for such stars. There will be 2000 guests eating that night! 2000- I struggle cooking for more than 2 people. And yes there are some odd vegan, gluten and sugar free odd requests, but for the most part it's fairly diva free. That night I was introduced to Villa Maria wine. I'd be never heard of this New Zealand brand before but gosh it was good. 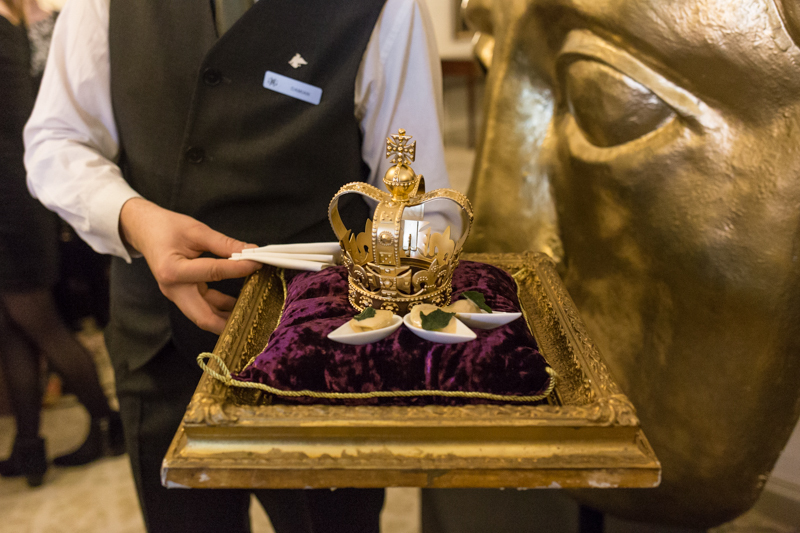 Their red for the BAFTAs; Villa Maria Private Bin Merlot Cabernet Sauvignon 2014 was delicious. Slightly on the sweet side, it worked so well with the main course, which I'll show you in a minute. After the speeches, it was time to mingle and start on the canapés. I think I did a little gasp which I saw this tray of scallops. Yes I was thinking of the photo op. Well that is my job right? But the clear winner of the evening has to be these mini fish and chips and "newspaper". Could you get anything more adorable? Although not just a pretty picture, as it was so tasty. It even came with salt and vinegar on them which made me really happy! If you know me, fish and chips is one of my favorite things. When I go back up North (imagine me staying that in a Northern accent) I always get fish and chips on a Friday. It's tradition. But now for the main event. 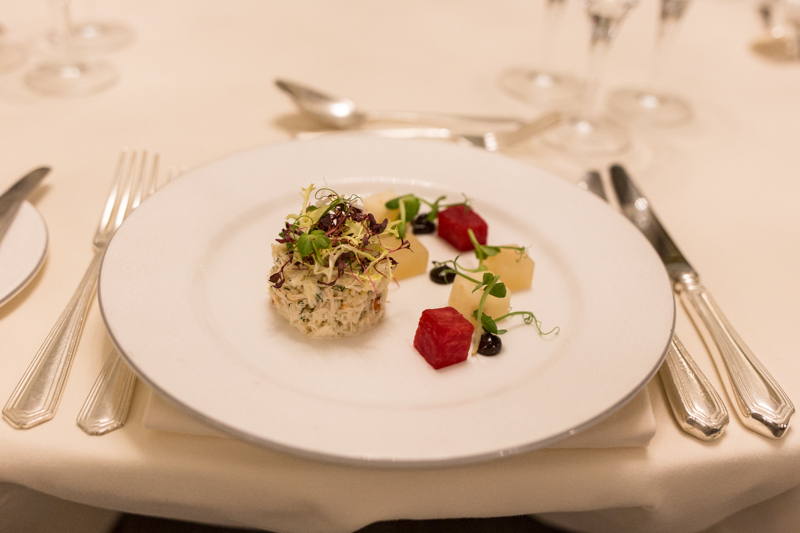 The starter at the BAFTAs will be Cornish Crab salad with celery and apple jelly, burnt celeriac mayonnaise or Mixed grain salad with pickled vegetables, beetroot relish and pea shoots for the vegetarian guests. For main it was an incredible piece of Venison Denham Estate Wellington, Juniper berry jus, potato gratin, glazed red cabbage, buttered swede, stem broccoli. A good heart meal. Perfect. 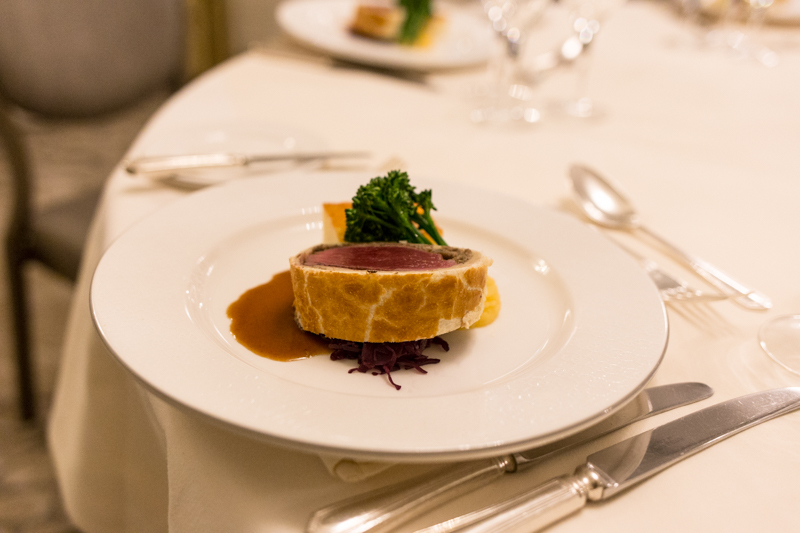 The alternative vegetarian main course will be a puff pastry parcel with buttered spinach, wild mushrooms, goat’s cheese, roasted winter vegetables, red cabbage and watercress sauce. The dessert though. Oh the dessert. Just look at it. A work of art. 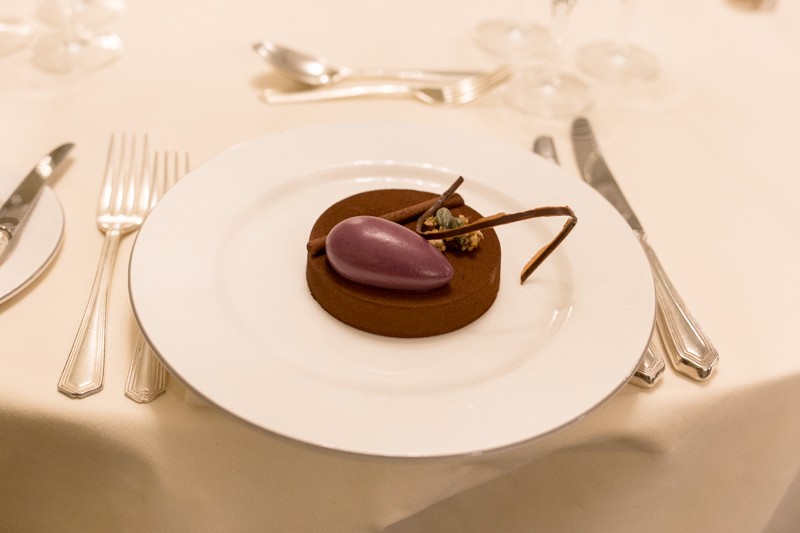 A beautiful velvet 65% Buffalo Supermilk Chocolate with Blueberry & Raspberry White Cremeux, with a Pumpkin seeds Granola. Delicious. As the evening came to a close, it was time to finish our last glasses of wine and head off into the night. 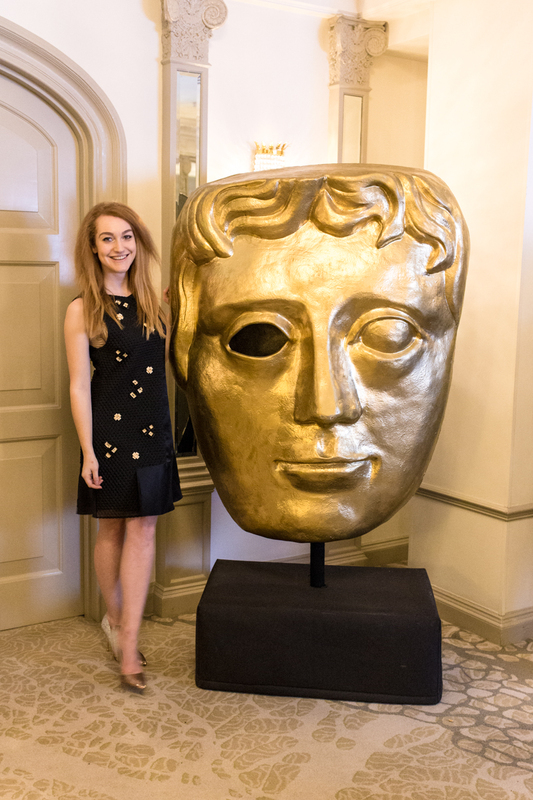 It's very unlikely I'll ever find myself at the BAFTAs having about as much acting ability as a potato, but that evening gave me a great insight into something I am good at.... eating. 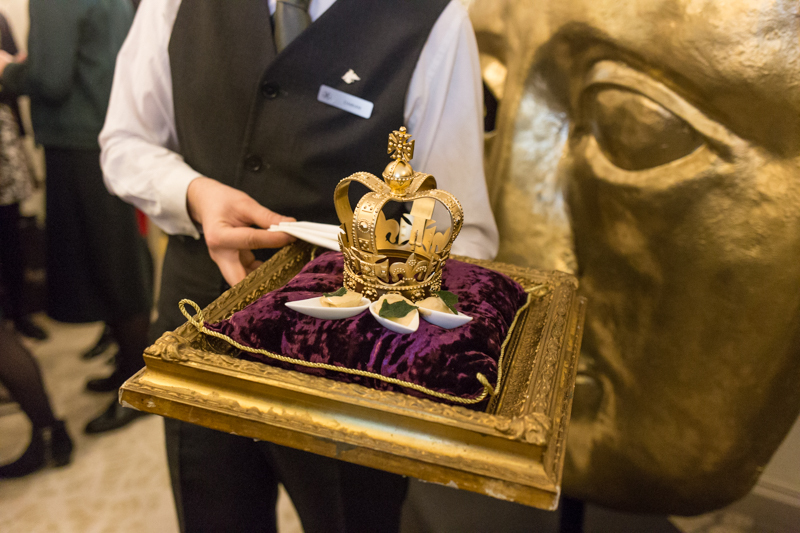 Will you be tuning into the BAFTAs? Villa Maria is one of the best (though I am a little biased!) Sounds like a treat! 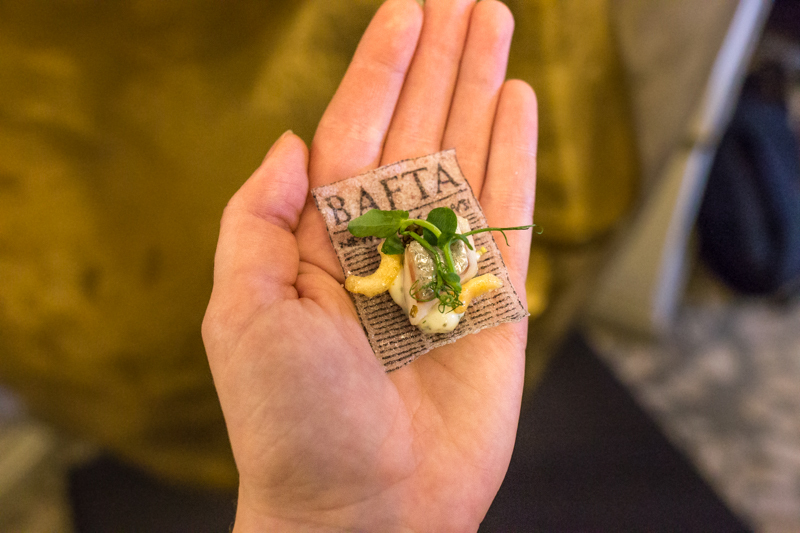 Those are the cutest canapés I've ever seen!